The Page Trio is a gospel singing group from Nauvoo, AL. 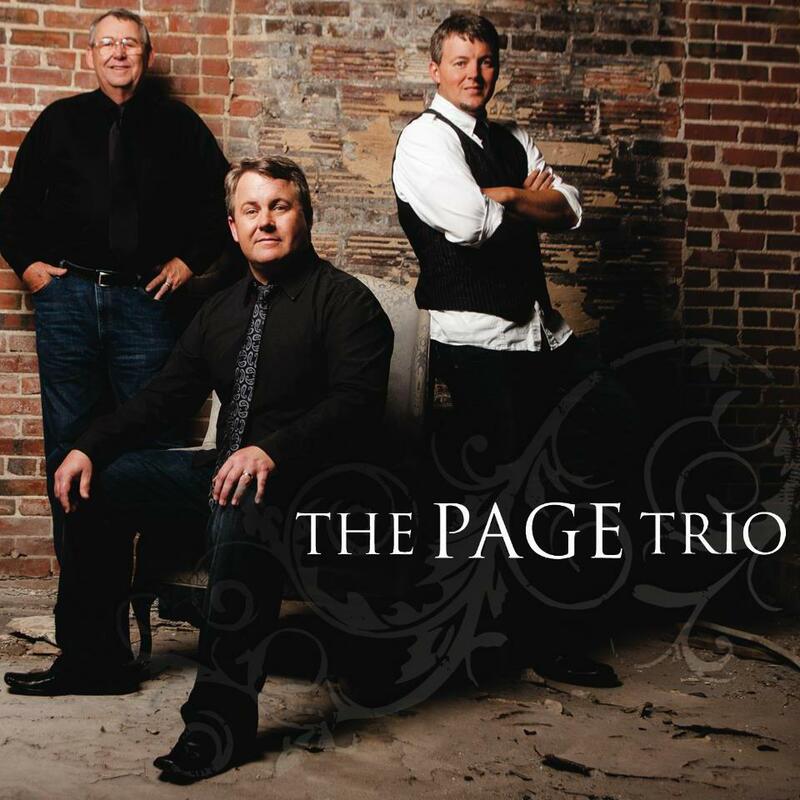 The Page Trio consists of brothers Wayne Page, Johnny Page and their dad Cranford Page. They grew up as a singing family but have been singing officially as a trio the past 10 years. The Page Trio has had the opportunity to produce, write and record a lot of the music that they sing. Their latest CD titled ‘I Surrender’ was recorded at GAT3 Mid-South Recording Studio with some of the finest studio musicians around and engineer/owner Darren Morton. The latest radio release from the album is 'I Wanna Go There' featuring Cranford Page. The song debuted in the Singing News Top 80 Chart at #80 for February 2015. 'I Surrender' written by Wayne Page. The song debuted in the Singing News Top 80 Chart at #70 for December 2014. 'I Am From Above' written by Johnny Page was our 2nd Top 80 song in the Singing News. The song made it all the way to #48 in the June 2014 Singing News Chart. God is so good. ‘God is Faithful’ written by Wayne Page was our first ever Top 80 song. The song was in the charts 3 consecutive months. It debuted on the charts at #80 in January 2014, #65 in February 2014 and #69 in March 2014 Singing News Charts and #59 in the Christian Voice Charts for February 2014. Earlier radio releases from The Page Trio were ‘Turn Away’ written by Johnny Page and ‘Same Old Story’ written by Cranford Page. The Page Trio is represented by Morris Music Group on the Delta Sky Record label in Gadsden, AL. The Page Trio has had many doors open up recently. Wayne was recognized as a runner-up in the 2012 Singing News-New Artist Search with his original song ‘Salvation’s Simple’. They have also had the opportunity to sing at the National Quartet Convention last two years. 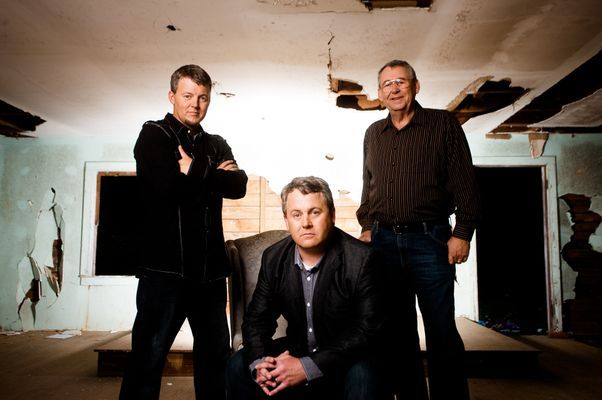 The Page Trio also won 5 Beacon awards in 2014 at Emerald Coast Southern Gospel Music Association's Jubilee Weekend. The awards were for Male Group of the year, Song of the year for 'God Is Faithful, Album of the year for 'I Surrender' and Wayne won Male Vocalist of the year and Songwriter of the year. More importantly The Page Trio is a group that loves to lift up the name of Jesus in song. The desire of The Page Trio is to lift up the name of Jesus so it will draw people to a saving knowledge of Jesus Christ. THE PAGE TRIO, BASED IN NAUVOO, AL, HAS BEEN SINGING FOR THE PAST 10 YEARS. OUR FIRST CONCERT AS THE PAGE TRIO WAS AT SARAGOSSA NAZARENE CHURCH OCTOBER 10, 2004. WE WOULD LIKE TO THANK AND PRAISE THE ONE WHO MADE ALL OF THIS POSSIBLE, OUR LORD AND SAVIOR JESUS CHRIST. WE WOULD ALSO LIKE TO THANK OUR FAMILIES FOR THEIR CONTINUED SUPPORT. MAW MAW SUSIE, MOM, MALLORY, SHELLY, PRESLEY, MARLEY, COLLIN AND JACEY. WE LOVE YOU. WE ALSO WANT TO RECOGNIZE IN MEMORY PAW PAW JIM FOR BEING AN EXAMPLE FOR US TO FOLLOW. HE WAS A CHRISTIAN MAN THAT LOVED GOSPEL MUSIC MORE THAN ANYONE WE KNOW. WE ARE SO THANKFUL TO HAVE BEEN ABLE TO SING WITH HIM BEFORE HE PASSED AWAY. WE SANG NUMEROUS TIMES AS THE PAGEMEN. WE RETIRED THE NAME AT THAT TIME AND STARTED SINGING AS THE PAGE TRIO.